Depending on which tech stocks you own, you're not as rich or not as poor as you might think. In an ironic turn of events, a technological problem on NASDAQ led to some incorrect after hours stock prices for some of the top tech stocks that trade on NASDAQ. Most of these companies are involved in mobile technology in one way or another. At 6:30pm EDT, hours after the market closed early, some of the incorrect prices started to appear on financial websites. The glitch caused all of these tech shares to show a closing price of $123.47 on financial websites, regardless of where they actually closed. 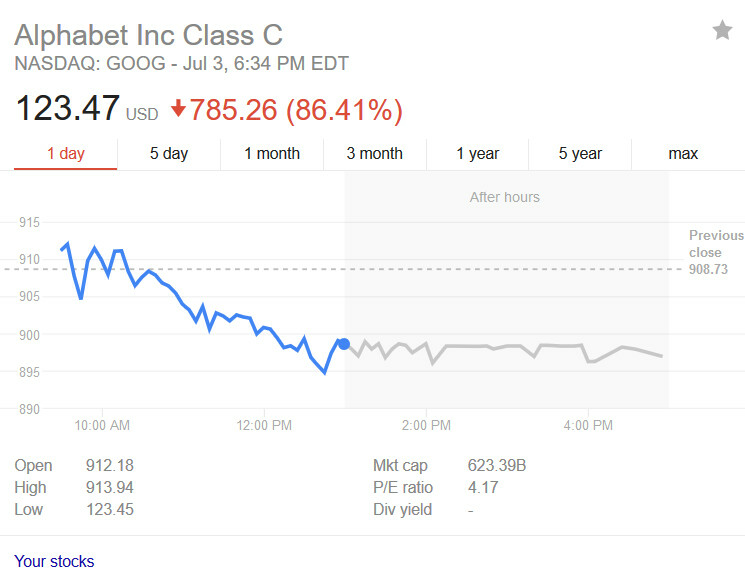 As a result, had you looked up Google parent Alphabet, you might have thought that the stock dropped 86% or $785.26. On the other hand, Microsoft's close at $123.47 appears to show that the company's stock was up 79%. Apple's $123.47 close showed a loss of $20.55 or 14.27%. No trades took place at the incorrect closing prices. NASDAQ's comments seem to indicate that the incorrect data was from the improper use of test data distributed by a third party. The exchange said it is investigating. Markets are closed today in the U.S. for the Fourth of July holiday. Why is this even an article? Is this a glitch too? PA always reports news which contains apple. Even if this is just non informative and just no news at all. Because people see that the article contains apple so they will click on it. We call it clickbait! 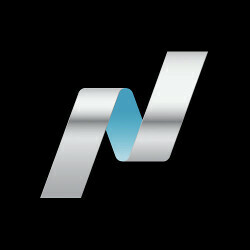 PhoneArena: We're all things Apple(ssh.. We won't say that outloud). Reason this article exists: Quota. Gotta feed them kids, fam. Yet here I am using Adblocking,well I don't use adblocking on gsmarena though. Where is the stocks guy? Be careful with your new amazon stocks. Everyone hating above must have the intellect of a 2 year old. The article clearly mentioned Google and Microsoft in the exact same light as Apple, there was no placing Apple on a pedestal or insulting Microsoft or Google. However what has happened is that all of you above have proved clear as day how much you hate Apple, to the level of not being able to comprehened basic English after reading the world Apple. Hating a company beyond reason is the exact same thing as praising it beyond reason, the same thing you accuse phone arena of. Yet as far as I've read, they report on Microsoft, Samsung, LG, Google etc just the same. However the hatred you display is aimed directly at Apple, because of their success no doubt, and removes your ability to comprehened any article based on other OEM's. The proof is right here for all to see. Yes we hate apple, they lost all credits! And it happened to me when they said you are holding it wrong! Blaming customers for the signal loss issues while they made crappy phones! Will never buy apple products again! What about the haters in this article?http://www.phonearena.com/news/New-Samsung-Galaxy-Note-8-CAD-leak-matches-previously-posted-designs_id95637/comments Get used to it, all fanboys from all sides are immature people who gets emotional about trivial stuff.